The Tankulator is an online tool developed by the Alternative Technology Association (ATA). The tool is designed to calcuate rain harvesting potential for a new tank or to improve an existing tank. The Tankulator produces different scenarios to help you find the best match that suits your needs. 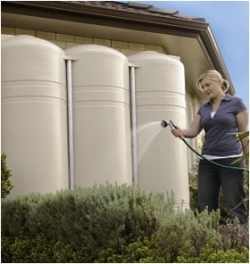 The website has advice on buying a rainwater tank and captures experiences and advice from ATA members. Click here to access the Tankulator - http://tankulator.ata.org.au.